can someone identify these items for me? The circuit breaker thingy is near the drivers side battery. It has some Jury-rigging involved in it, also very corroded. 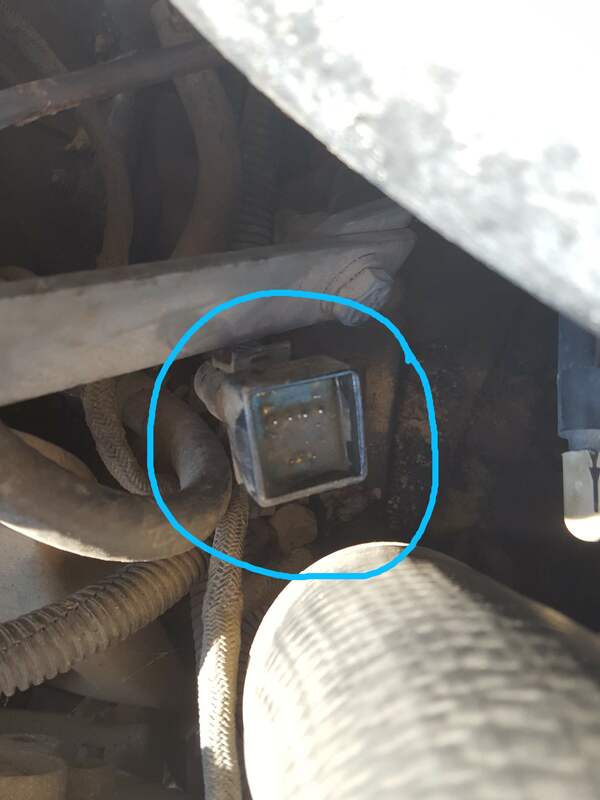 The square circuit thing is near the fuel filter. 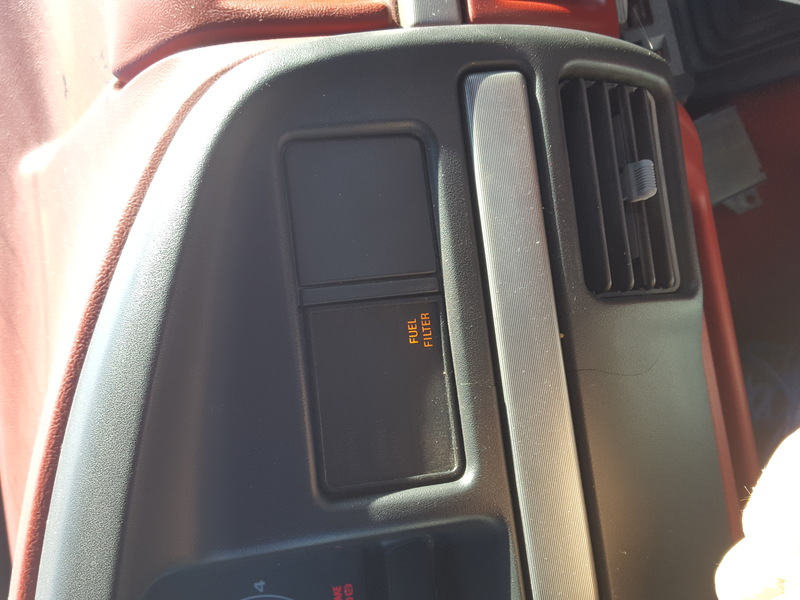 The fuel filter light comes on when I turn on the key. Is it a low-fuel-pressure sensor or does it just come on at a predetermined interval. 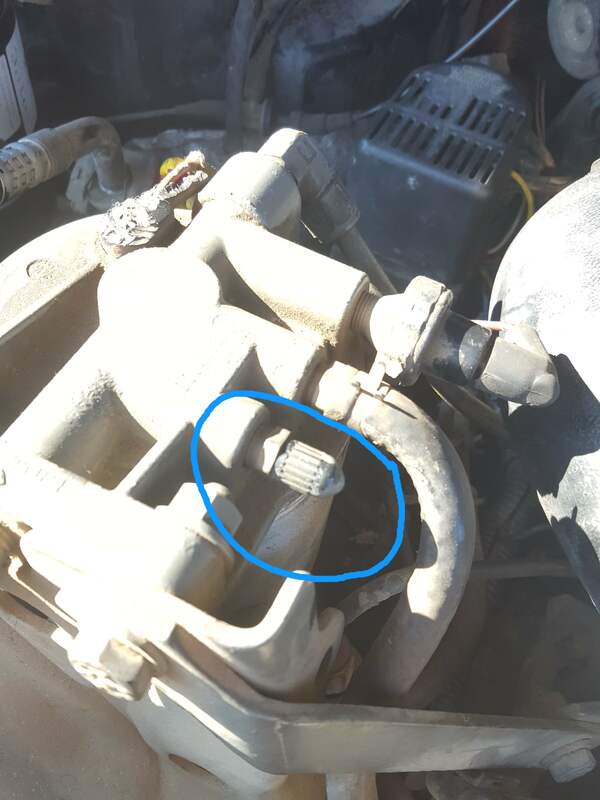 On the top of the fuel filter there is a "tire-pressure" kind of thing; what does this do? 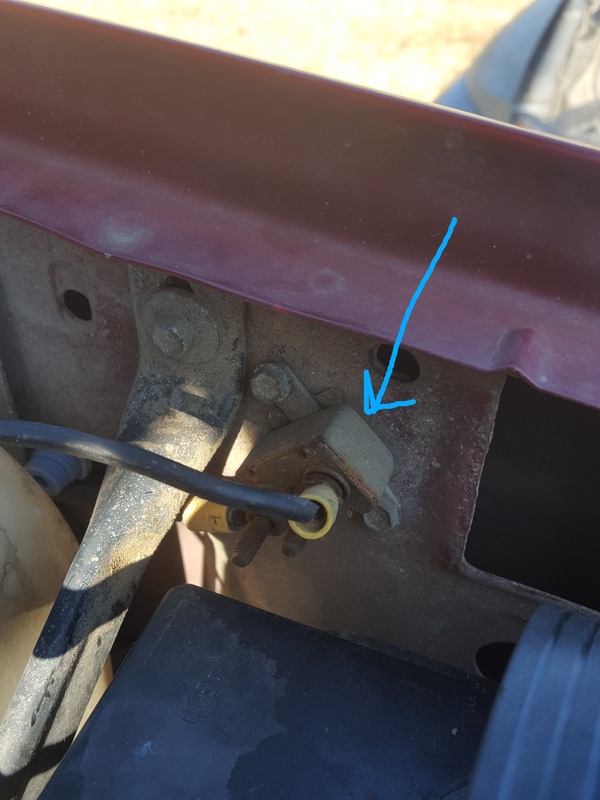 The truck refuses to start, I replaced all the glow plugs and the circuit appears to be working correctly now, but there is crank-no-start condition. I know nothing about these trucks; lotta curious on the pictures. As for the filter light, there is a sending unit beside the schrader valve (third picture, which is typically used for bleeding air, and for test purposes) that is what activates the light. It will be on until the engine starts. I usually pull that sending unit, and use a mighty vac to prime the fuel system from that point. Saves wear and tear on the starter. Makes a troublesome truck start easier when the weather is in the teens. Last edited by oldrebuiltdodge; 12-04-2018 at 08:38 PM. First pic is a circuit breaker. See where the wires go. Second pic, that's a relay for the water in fuel light.